As an online business owner, one of your biggest obstacles to overcome is shopping cart abandonment – which is costly and can prevent your business from growing. The leading reasons for abandonment, according to the Baymard Institute, are due to the customer not being ready to make a purchase. When adding on the extra costs like shipping, having to create an account, a complicated checkout process, and website errors, they stop. But, another common reason which doesn’t get as much attention, is when the online business doesn’t offer enough payment methods. That may not seem like a big deal. Previous surveys have shown that 50% of regular shoppers cancel their purchases if their preferred payment method is not available. 40% said they would feel more comfortable purchasing from an online merchant who offers multiple payment gateways. That’s a lot of business that you’re losing. It is the 21st Century, there are no shortage of payment options available for your business. You can offer credit or debit cards, eChecks, digital wallets, and cryptocurrencies. Simply put. There’s no excuse for not accepting multiple payments these days. It’s good for your bottom line and there are a numerous options. What’s that? You’re still not convinced? 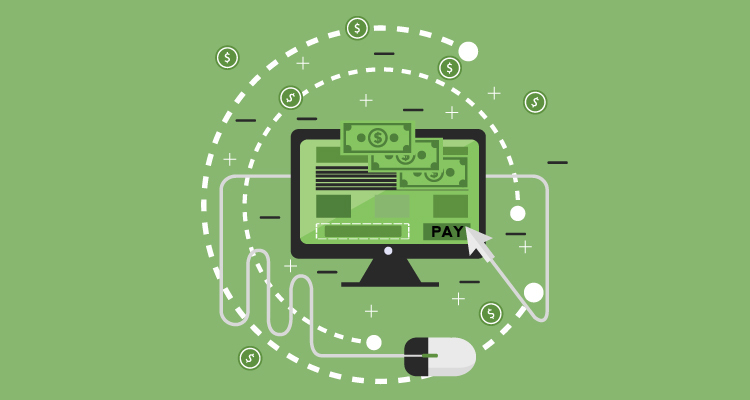 Then let’s take a closer look at how accepting multiple forms of payments can help your online business thrive. Helps retain your existing customers. There’s a good chance that you have repeat customers who have a go-to payment method when they shop on your site. That doesn’t mean that they’ll continue to use that method if there are better options available for them. Security is a major concern for online shoppers. So, what do you think will happen if their credit card information is stolen after they made a purchase on your site? They’re probably going to be more reluctant to make a future purchase from you. However, you can offer more secure options, such as PayPal, Apple Pay, or cryptocurrencies like bitcoin. While there’s also a chance of a security breach, providing options that make the customer feel more secure will ensure that they’ll stick around. It’s also been found that consumers prefer different payment forms depending on the purchase. If you want to retain the customers that you already have, then start providing more payment options for them to chose from. Besides retaining your current customers, accepting multiple forms of payments will introduce you to new customers – like Millennials. As the largest, and most disruptive, demographic, Millennials deserve your undivided attention. While plastic is still being used, Millennials are more likely to use digital wallets and cryptocurrencies. This is because these types of newer payments are convenient, affordable, and can be personalized. Furthermore, thanks to gadgets like Alexa, they can be integrated into their daily lives in order to create a more seamless shopping experience. You can also attract a more global audience if you use a payment gateway that allows customers to pay in their native currency. In other words, the more types of payments that you accept, the more range of people you will attract. Do some research in advance to know which payment options your existing and potential customers prefer. If they’re not on board with Bitcoin then you may not have to offer that as a payment option. One final note. Once you’re educated on these various payment methods, make sure to use this knowledge in your marketing messages. Use your blog post explaining how to make a payment using a mobile device. It’s an effective way to demonstrate that you’re a professional who knows what you’re doing and are up on the latest trends. Increases Sales by Accepting Multiple Forms of Payments. Studies have indicated that accepting multiple types of payment can increase your overall sales- which just makes sense. Would you purchase a new entertainment system or travel package using cash or your debit card? You would probably use your credit card for these more expensive items. Accepting multiple forms of payments encourages your customers to spend more money at your store. Spending more money is especially true if you sell more expensive items. And, that’s always good for business. Keeps the cash flowing into your business. Various payment methods settle during different time periods. And that can be a big deal when it comes to your business’s cash flow. A credit card or bank transfer may take several days – even weeks for international transactions. Cryptocurrencies, however, settle almost instantly. When you have your own expenses to pay, those extra days can be the difference between making a payment on time and getting hit with a late fee. Having this variety helps keep up a regular cycle in your cash flow. Saves your online business money. As a business owner, you’re constantly on the lookout for ways to save money. And, yes, accepting multiple forms of payments can actually achieve that goal. When you accept credit cards you’re going to have to pay several different types of fees such as processing fees for every transaction, situational fees like chargebacks, and fixed fees like an annual fee. It can quickly get expensive. Furthermore, you may also have to pay middlemen, like your local bank or payment gateway, for processing payments. Options like Due charge a low 2.8% transaction fee for all card types, while accepting cryptocurrencies can be free. Getting started with accepting multiple forms of payments. What types of payment methods do your customers prefer? Do they use plastic, eChecks, eCash, mobile payments, or a payment gateway? Is the payment option secure? Do you and your team need any training? If you use a payment gateway, is it available on your eCommerce platform? Does it accept your store’s currencies? Is there a contract? Having a current and professional looking website. It needs to be easy to navigate, load quickly, have a fully developed contact page, and clearly explain what you offer. Clearly displaying security logos or seals like your SSL certificate. Also include trust marks like Better Business Bureau, Chamber of Commerce, or anti-virus software like McAfee or Norton. Mitigate customer’s risks by clearly describing your products or services and preventing pop ups or redirecting them to a different page. Using an Address Verification Service (AVS)/Card Verification Value (CVV2). Next PostAre You Still Dealing with Checks in Your Business?